‘Tis the season for holiday gift giving (to others or to yourself, no shame there), so I thought I’d share about some recent books about evolution and related topics that might strike in you a desire to spread the good news (of science!). Rebecca Stefoff and Teagan White (illustrator), Charles Darwin’s On the Origin of Species: Young Readers Edition (New York: Atheneum Books for Young Readers, 2018, 176. pp.) ~ As she has done for other books (Howard Zinn’s A People’s History of the United States, Jared Diamond’s The Third Chimpanzee, and Charles C. Mann’s 1493), Stefoff has taken an important book and adapted it for a younger audience, using more accessible language and including copious illustrations and photographs, and while remaining true to Darwin’s chapter structure, has provided updated information on topics that have, well, evolved since Darwin’s time. If On the Origin of Species continues to be a book that everyone has an opinion about yet have never actually read (it can be a challenging read), perhaps they can start with this handsome large format edition. It surely deserves a place on the shelves of middle and high school libraries. 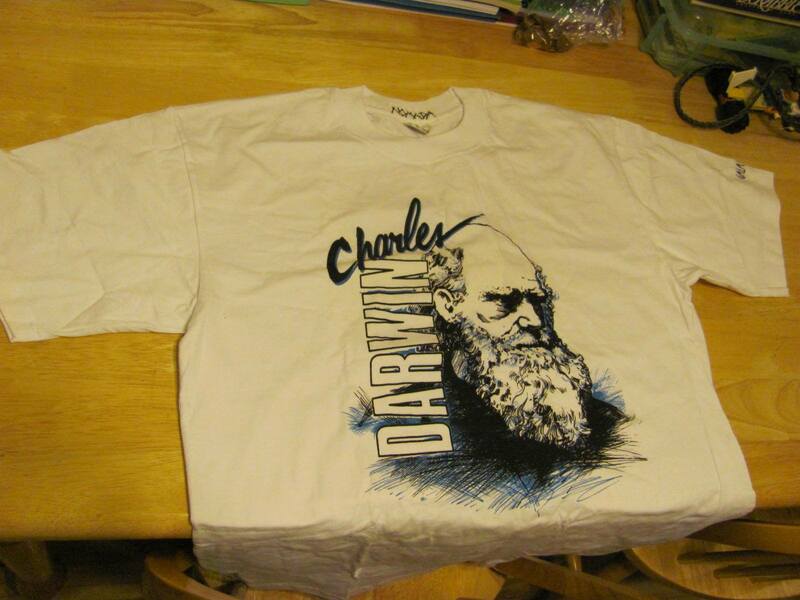 Order Charles Darwin’s On the Origin of Species: Young Readers Edition: Amazon, Powell’s, Barnes & Noble, Indiebound. Jonathan Tweet and Karen Lewis (illustrator), Grandmother Fish (New York: Feiwel & Friends, 2016, 32 pp.) ~ This fantastic book about evolution for preschool-aged kids is not new, but I shared about it previously and it is worth mentioning again! Order Grandmother Fish: Amazon, Powell’s, Barnes & Noble, Indiebound. Sneed B. Collard III, One Iguana, Two Iguanas: A Story of Accident, Natural Selection, and Evolution (Thomaston, ME: Tilbury House, 2018, 48 pp.) ~ I have not looked at a copy of this book myself, but Greg Laden has. Here’s the publisher’s description: “Natural selection and speciation are all but ignored in children’s nonfiction. To help address this glaring deficiency, award-winning children’s science writer Sneed Collard traveled to the Galapagos Islands to see for himself, where Charles Darwin saw, how new species form. The result is this fascinating story of two species of iguana, one land-based and one marine, both of which developed from a single ancestor that reached the islands millions of years ago. The animals evolved in different directions while living within sight of one another. How is that possible?” Geared toward upper elementary and middle grade readers. Order One Iguana, Two Iguanas: A Story of Accident, Natural Selection, and Evolution: Amazon, Powell’s, Barnes & Noble, Indiebound. Marion Dane Bauer and Ekua Holmes, Ekua (illustrator), The Stuff of Stars (Somerville, MA: Candlewick Press, 2018, 40 pp.) ~ Going further back that biological evolution, this book puts the Sagan-esque notion of everything being made of “star stuff” – that all the matter that makes up every organism, including humans, was first created in the furnaces of stars billions of years ago – into a beautiful presentation of words and art. For some science-minded people who live without religion, appreciating our elemental connection to the universe can serve as a secular spirituality, and The Stuff of Stars serves as a perfect introduction of this idea. Order The Stuff of Stars: Amazon, Powell’s, Barnes & Noble, Indiebound. Ince, Martin, Continental Drift: The Evolution of Our World from the Origins of Life to the Future (Blueprint Editions, 80 pp. ; titled Drift in the UK for WeldonOwen Publishing) ~ It is difficult to discuss the evolution of animals on Earth without bringing in geology: how plates of earth’s crusts moving around the globe over millions of years has had a major effect on the evolutionary lineages of organisms. Continental Drift by science writer Martin Ince, begins with the formation of Earth 4.5 billions years ago and the formation of land around 3.4 bya, and then passes through periods of geologic time (Cambrian, Devonian, Permian, Jurassic, Cretaceous, Paleogene, Anthropocene, etc. ), describing the movement of plates and evolution of organisms during those periods. Copiously illustrated with drawings and photographs, as well as large maps showing how the earth’s land appeared in each period, this book is perfect for upper elementary and middle grade students wishing to learn more about the history of our planet and its life. In fact, curious adults will find value in pouring through its pages. Order Drift: Amazon, Powell’s, Barnes & Noble, Indiebound. Dougal Dixon and Hannah Bailey (illustrator), When the Whales Walked: And Other Incredible Evolutionary Journeys (London: words & pictures, 2018, 64 pp.) ~ I have not seen a copy of this book yet, but it looks like an important one to teach readers about transitional fossils. The publisher’s description: “Step back in time and discover a world where whales once walked, crocodiles were warm-blooded and snakes had legs! Meet terrifying giant birds, and tiny elephants living on islands in this fascinating creature guide like no other. Learn how whales once walked on four legs before taking to the oceans; how dinosaurs evolved into birds; and how the first cats were small and lived in trees. Featuring a stunning mix of annotated illustrations, illustrated scenes and family trees, evolution is explained here in a captivating and novel style that will make children look at animals in a whole new way.” Order When the Whales Walked: Amazon, Powell’s, Barnes & Noble, Indiebound. Marsha Diane Arnold and Angela Dominguez (illustrator), Galápagos Girl/Galapagueña (New York: Lee & Low Books, 2018, 40 pp.) ~ This is a charming picture book about a young girl born and raised on Floreana island in the Galápagos, who grew up among its unique animals and has made a life of researching, protecting, and educating about the Galápagos and its wildlife. Her name is Valentina Cruz, and through her story readers will learn about what it means to spend time in nature and value protecting it. The publisher’s description: “For Valentina, living on the Galápagos islands means spending her days outside, observing the natural world around her. She greets sea lions splashing on the shore, scampers over lava rocks with Sally-lightfoot crabs, and swims with manta rays. She is a Galápagos girl, and there is no other place she’d rather be! But this wondrous world is fragile, and when Valentina learns her wild companions are under threat, she vows to help protect them and the islands. Whimsical illustrations by Pura Belpré Honoree Angela Dominguez transport readers to the unique Galápagos islands, which shelter a number of diverse plant and animal species that can be found nowhere else on the planet. Come discover this beautiful world with Valentina and her animal friends!” The book is presented in both English and Spanish, and Mr. Darwin only receives a single mention, in a note at the end of the book about finches. This book is, after all, about Valentina, not Charles, as there are many persons connected to the history of these islands. Order Galápagos Girl/Galapagueña: Amazon, Powell’s, Barnes & Noble, Indiebound. Katrina von Grouw, Unnatural Selection (Princeton University Press, 2013, 304 pp.) ~ This book came out in the summer, but I shared about it previously and it is worth mentioning again! Order Unnatural Selection: Amazon, Powell’s, Barnes & Noble, Indiebound. David Attenborough, Life on Earth: The Greatest Story Ever Told (London: William Collins, 2018, 352 pp.) ~ A classic, updated. From the publisher: “David Attenborough’s unforgettable meeting with gorillas became an iconic moment for millions of television viewers. Life on Earth, the series and accompanying book, fundamentally changed the way we view and interact with the natural world setting a new benchmark of quality, influencing a generation of nature lovers. Told through an examination of animal and plant life, this is an astonishing celebration of the evolution of life on earth, with a cast of characters drawn from the whole range of organisms that have ever lived on this planet. Attenborough’s perceptive, dynamic approach to the evolution of millions of species of living organisms takes the reader on an unforgettable journey of discovery from the very first spark of life to the blue and green wonder we know today. Now, to celebrate the 40th anniversary of the book’s first publication, David Attenborough has revisited Life on Earth, completely updating and adding to the original text, taking account of modern scientific discoveries from around the globe. He has chosen beautiful, completely new photography, helping to illustrate the book in a much greater way than was possible forty years ago. This special anniversary edition provides a fitting tribute to an enduring wildlife classic, destined to enthral the generation who saw it when first published and bring it alive for a whole new generation.” Order Life on Earth: Amazon, Powell’s, Barnes & Noble, Indiebound. Ken Thompson, Darwin’s Most Wonderful Plants: Darwin’s Botany Today (London: Profile Books, 2018, 256 pp.) ~ In five chapters Thompson takes a look at Darwin’s seven books that cover botanical topics, from his first on orchids in 1862 to The Power of Movement in Plants in 1880. 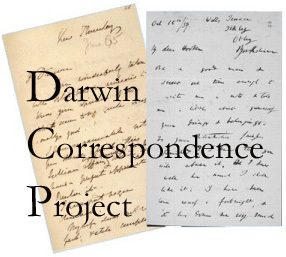 From the publisher: “Ken Thompson sees Darwin as a brilliant and revolutionary botanist, whose observations and theories were far ahead of his time – and are often only now being confirmed and extended by high-tech modern research. Like Darwin, he is fascinated and amazed by the powers of plants – particularly their Triffid-like aspects of movement, hunting and ‘plant intelligence’. This is a much needed book that re-establishes Darwin as a pioneering botanist, whose close observations of plants were crucial to his theories of evolution.” Order Darwin’s Most Wonderful Plants: Amazon, Powell’s, Barnes & Noble, Indiebound. David Quammen, The Tangled Tree: A Radical New History of Life (New York: Simon & Schuster, 2018, 480 pp.) ~ Currently making my way through this new offering from one of the best science writers we have. Quammen tells the intriguing story of how molecular biologists rewrote the tree of life, centering on the work of Carl Woese (billed as one of the most important biologists of the 20th century that you’ve never heard of) but including Lynn Margulis and a great many others. Quammen blends science with storytelling in such a fashion that one feels as if they are witnessing science at work as it is happening – it’s ups and downs, its triumphs and lesser moments. With plenty of Darwin to start the narrative off. Highly recommended. Order The Tangled Tree: Amazon, Powell’s, Barnes & Noble, Indiebound. Jane Kim and Thayer Walker, The Wall of Birds: One Planet, 243 Families, 375 Million Years – A Visual Journey (New York: Harper Design, 2018, 224 pp.) ~ Ever since I first saw social media posts showing the work in progress for a mural on a wall at the Cornell Lab of Ornithology‘s office, I have been in awe of Jane Kim’s bird and other scientific illustrations. They are absolutely gorgeous, and this new book by Kim shares her experience doing the mural and about all the birds presented, including dinosaurs! Order The Wall of Birds: Amazon, Powell’s, Barnes & Noble, Indiebound. More info about the wall here, and Jane’s website here. Kirk Johnson and Ray Troll (artist), Cruisin’ the Fossil Coastline: The Travels of an Artist and a Scientist along the Shores of the Prehistoric Pacific (Golden, CO: Fulcrum Publishing, 2018, 290 pp.) ~ A follow up to Johnson and Troll’s Cruisin’ the Fossil Freeway: An Epoch Tale of a Scientist and an Artist on the Ultimate 5,000-mile Paleo Road Trip (2007), which followed the author and artist through the American West in search of fossils and paleontologists, Cruisin’ the Fossil Coastline does the same for the stretch of coastline from southern California up north into Alaska. Johnson is a fine writer, and Troll’s unique art style never disappoints. Order Cruisin’ the Fossil Coastline: Amazon, Powell’s, Barnes & Noble, Indiebound. Walter Perez and Michael Weisberg, Galápagos: Life in Motion (Princeton University Press, 2018, 208 pp.) ~ For someone who hopes to visit the Galápagos in their lifetime but is not sure if it will happen, this book of photographs by Walter Perez is an antidote to waiting for such an opportunity. From the publisher: “The Galápagos Islands are home to an amazing variety of iconic creatures, from Giant Tortoises, Galápagos Sea Lions, Galápagos Penguins, and Ghost Crabs to Darwin’s finches, the Blue-footed Booby, and Hummingbird Moths. But how precisely do these animals manage to survive on―and in the waters around―their desert-like volcanic islands, where fresh water is always scarce, food is often hard to come by, and finding a good mate is a challenge because animal populations are so small? In this stunning large-format book, Galápagos experts Walter Perez and Michael Weisberg present an unprecedented photographic account of the remarkable survival behaviors of these beautiful and unique animals. With more than 200 detailed, close-up photographs, the book captures Galápagos animals in action as they feed, play, fight, court, mate, build nests, give birth, raise their young, and cooperate and clash with other species.” Order Galápagos: Life in Motion: Amazon, Powell’s, Barnes & Noble, Indiebound. J. David Archibald, Charles Darwin: A Reference Guide to His Life and Works (Lanham, MD: Rowman & Littlefield Publishers, 2018, 232 pp.) ~ I have yet to view a copy of this book, but I have liked Archibald’s other books about Darwin and evolution so I expect this to serve as a useful resource. Here is the publisher’s description: “Charles Darwin: A Reference Guide to His Life and Works provides an important new compendium presenting a detailed chronology of all aspects Darwin’s life. The extensive encyclopedia section includes many hundreds of entries of various kinds related to Darwin – people, places, institutions, concepts, and his publications. 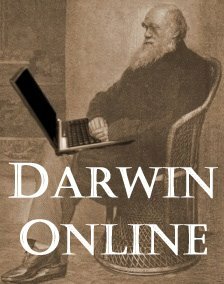 The bibliography provides a comprehensive listing of the vast majority of Darwin’s works published during and after his lifetime. It also provides a more selective list of publications concerning his life and work.” Order Charles Darwin: A Reference Guide to His Life and Works: Amazon, Powell’s, Barnes & Noble, Indiebound. The following titles are some of the books I have been reading or have recently obtained that readers here are likely to find of interest. Ordering links follow the descriptions of each book, but I recommend also checking your local bookstore or library! Efram, Sera-Shriar (ed. ), Historicizing Humans: Deep Time, Evolution, and Race in Nineteenth-Century British Sciences (University of Pittsburgh Press, 2018, 320 pp.) ~ The publiher’s description reads: “A number of important developments and discoveries across the British Empire’s imperial landscape during the nineteenth century invited new questions about human ancestry. The rise of secularism and scientific naturalism; new evidence, such as skeletal and archaeological remains; and European encounters with different people all over the world challenged the existing harmony between science and religion and threatened traditional biblical ideas about special creation and the timeline of human history. Advances in print culture and voyages of exploration also provided researchers with a wealth of material that contributed to their investigations into humanity’s past. Historicizing Humans takes a critical approach to nineteenth-century human history, as the contributors consider how these histories were shaped by the colonial world, and for various scientific, religious, and sociopolitical purposes. This volume highlights the underlying questions and shared assumptions that emerged as various human developmental theories competed for dominance throughout the British Empire.” Readers interested in Darwin specifically will want to check out chapter 6 – Gregory Radick on “How and Why Darwin Got Emotional about Race.” Radick delves into Darwin’s writing in The Expression of the Emotions in Man and Animals (1872) as a means to understand Darwin’s thoughts on human evolution and suggests that Expression provides more evidence in Darwin’s mind of man’s animal ancestry than what he offered in On the Origin of Species (1859) or The Descent of Man (1871). Order Historicizing Humans: Amazon, Powell’s, Barnes & Noble, Indiebound. Kieran D. O’Hara, A Brief History of Geology (Cambridge University Press, 2018, 274 pp.) ~ “Geology as a science has a fascinating and controversial history. Kieran D. O’Hara’s book provides a brief and accessible account of the major events in the history of geology over the last two hundred years, from early theories of Earth structure during the Reformation, through major controversies over the age of the Earth during the Industrial Revolution, to the more recent twentieth-century development of plate tectonic theory, and on to current ideas concerning the Anthropocene. Most chapters include a short ‘text box’ providing more technical and detailed elaborations on selected topics. The book also includes a history of the geology of the Moon, a topic not normally included in books on the history of geology. The book will appeal to students of Earth science, researchers in geology who wish to learn more about the history of their subject, and general readers interested in the history of science.” Order A Brief History of Geology: Amazon, Powell’s, Barnes & Noble, Indiebound. Peter R. Grant and B. Rosemary Grant, 40 Years of Evolution: Darwin’s Finches on Daphne Major Island (Princeton University Press, 2014, 432 pp.) ~ One of the very first books I read about evolution when the topic grabbed me as a teenager was The Beak of the Finch by Jonathan Weiner (1995), which told the story of the Grants’ lengthy study of finches on the Galapagos islands. Jump two decades later and their research in the field continues, as they describe in this newer book. From the publisher: “Renowned evolutionary biologists Peter and Rosemary Grant have produced landmark studies of the Galápagos finches first made famous by Charles Darwin. In How and Why Species Multiply , they offered a complete evolutionary history of Darwin’s finches since their origin almost three million years ago. Now, in their richly illustrated new book, 40 Years of Evolution, the authors turn their attention to events taking place on a contemporary scale. By continuously tracking finch populations over a period of four decades, they uncover the causes and consequences of significant events leading to evolutionary changes in species. The authors used a vast and unparalleled range of ecological, behavioral, and genetic data–including song recordings, DNA analyses, and feeding and breeding behavior–to measure changes in finch populations on the small island of Daphne Major in the Galápagos archipelago. They find that natural selection happens repeatedly, that finches hybridize and exchange genes rarely, and that they compete for scarce food in times of drought, with the remarkable result that the finch populations today differ significantly in average beak size and shape from those of forty years ago. The authors’ most spectacular discovery is the initiation and establishment of a new lineage that now behaves as a new species, differing from others in size, song, and other characteristics. The authors emphasize the immeasurable value of continuous long-term studies of natural populations and of critical opportunities for detecting and understanding rare but significant events. By following the fates of finches for several generations, 40 Years of Evolution offers unparalleled insights into ecological and evolutionary changes in natural environments.” Order 40 Years of Evolution: Amazon, Powell’s, Barnes & Noble, Indiebound. Tessa Boase, Mrs Pankhurst’s Purple Feather: Fashion, Fury and Feminism – Women’s Fight for Change (Aurum Press, 2018, 336 pp.) ~ Women’s suffrage in Britain began in 1918, when certain woman over the age of 30 were granted the right to vote, but the effort to reach such a point had begun decades earlier. Social historian Tessa Boase tells the story of how the women’s suffrage movement was intertwined with the movement to protect British birds. The publisher’s description: “When Mrs Pankhurst stormed the House of Commons with her crack squad of militant suffragettes in 1908, she wore on her hat a voluptuous purple feather. This is the intriguing story behind that feather. Twelve years before the suffragette movement began dominating headlines, a very different women’s campaign captured the public imagination. Its aim was radical: to stamp out the fashion for feathers in hats. Leading the fight was a character just as heroic as Emmeline Pankhurst, but with opposite beliefs. Her name was Etta Lemon, and she was anti-fashion, anti-feminist – and anti-suffrage. Mrs Lemon has been forgotten by history, but her mighty society lives on. Few, today, are aware that Britain’s biggest conservation charity, the RSPB, was born through the determined efforts of a handful of women, led by the indomitable Mrs Lemon. While the suffragettes were slashing paintings and smashing shop windows, Etta Lemon and her local secretaries were challenging ‘murderous millinery’ all the way up to Parliament. This gripping narrative explores two singular heroines – one lionised, the other forgotten – and their rival, overlapping campaigns. Moving from the feather workers’ slums to the highest courtly circles, from the first female political rally to the first forcible feeding, Mrs Pankhurst’s Purple Feather is a unique journey through a society in transformation. This is a highly original story of women stepping into the public sphere, agitating for change – and finally finding a voice.” Order Mrs Pankhurst’s Purple Feather: Amazon, Powell’s, Barnes & Noble, Indiebound. Peter Ward, Lamarck’s Revenge: How Epigenetics Is Revolutionizing Our Understanding of Evolution’s Past and Present (Bloomsbury Publishing, 2018, 288 pp.) ~ “In the 1700s, Jean-Baptiste Lamarck first described epigenetics to explain the inheritance of acquired characteristics; however, his theory was supplanted in the 1800s by Darwin’s theory of evolution by natural selection through heritable genetic mutations. But natural selection could not adequately explain how rapidly species re-diversified and repopulated after mass extinctions. Now advances in the study of DNA and RNA have resurrected epigenetics, which can create radical physical and physiological changes in subsequent generations by the simple addition of a single small molecule, thus passing along a propensity for molecules to attach in the same places in the next generation! Epigenetics is a complex process, but paleontologist and astrobiologist Peter Ward breaks it down for general readers, using the epigenetic paradigm to reexamine how the history of our species–from deep time to the outbreak of the Black Plague and into the present–has left its mark on our physiology, behavior, and intelligence. Most alarming are chapters about epigenetic changes we are undergoing now triggered by toxins, environmental pollutants, famine, poor nutrition, and overexposure to violence. Lamarck’s Revenge is an eye-opening and controversial exploration of how traits are inherited, and how outside influences drive what we pass along to our progeny.” Order Lamarck’s Revenge: Amazon, Powell’s, Barnes & Noble, Indiebound. Adrian Currie, Rock, Bone, and Ruin: An Optimist’s Guide to the Historical Sciences (MIT Press, 2018, 376 pp.) ~ I’ve read lots of books about dinosaurs and paleontology over the years, but this one suggests to not necessarily take everything a paleontologist says for granted. From the publisher: “The ‘historical sciences’—geology, paleontology, and archaeology—have made extraordinary progress in advancing our understanding of the deep past. How has this been possible, given that the evidence they have to work with offers mere traces of the past? In Rock, Bone, and Ruin, Adrian Currie explains that these scientists are ‘methodological omnivores,’ with a variety of strategies and techniques at their disposal, and that this gives us every reason to be optimistic about their capacity to uncover truths about prehistory. Creative and opportunistic paleontologists, for example, discovered and described a new species of prehistoric duck-billed platypus from a single fossilized tooth. Examining the complex reasoning processes of historical science, Currie also considers philosophical and scientific reflection on the relationship between past and present, the nature of evidence, contingency, and scientific progress. Currie draws on varied examples from across the historical sciences, from Mayan ritual sacrifice to giant Mesozoic fleas to Mars’s mysterious watery past, to develop an account of the nature of, and resources available to, historical science. He presents two major case studies: the emerging explanation of sauropod size, and the ‘snowball earth’ hypothesis that accounts for signs of glaciation in Neoproterozoic tropics. 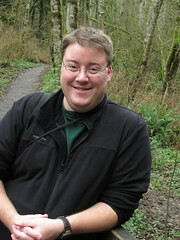 He develops the Ripple Model of Evidence to analyze ‘unlucky circumstances’ in scientific investigation; examines and refutes arguments for pessimism about the capacity of the historical sciences, defending the role of analogy and arguing that simulations have an experiment-like function. Currie argues for a creative, open-ended approach, ’empirically grounded’ speculation.” Order Rock, Bone, and Ruin: Amazon, Powell’s, Barnes & Noble, Indiebound. Matthew J. James, Collecting Evolution: The Galapagos Expedition that Vindicated Darwin (New York: Oxford University Press, 2017), 304 pp. Publisher’s description In 1905, eight men from the California Academy of Sciences set sail from San Francisco for a scientific collection expedition in the Galapagos Islands, and by the time they were finished in 1906, they had completed one of the most important expeditions in the history of both evolutionary and conservation science. These scientists collected over 78,000 specimens during their time on the islands, validating the work of Charles Darwin and laying the groundwork for foundational evolution texts like Darwin’s Finches. Despite its significance, almost nothing has been written on this voyage, lost amongst discussion of Darwin’s trip on the Beagle and the writing of David Lack. In Collecting Evolution, author Matthew James finally tells the story of the 1905 Galapagos expedition. James follows these eight young men aboard the Academy to the Galapagos and back, and reveals the reasons behind the groundbreaking success they had. A current Fellow of the California Academy of Sciences, James uses his access to unpublished writings and photographs to provide unprecedented insight into the expedition. We learn the voyagers’ personal stories, and how, for all the scientific progress that was made, just as much intense personal drama unfolded on the trip. This book shares a watershed moment in scientific history, crossed with a maritime adventure. There are four tangential suicides and controversies over credit and fame. Collecting Evolution also explores the personal lives and scientific context that preceded this voyage, including what brought Darwin to the Galapagos on the Beagle voyage seventy years earlier. James discusses how these men thought of themselves as “collectors” before they thought of themselves as scientists, and the implications this had on their approach and their results. In the end, the voyage of the Academy proved to be crucial in the development of evolutionary science as we know it. It is the longest expedition in Galapagos history, and played a critical role in cementing Darwin’s legacy. Collecting Evolution brings this extraordinary story of eight scientists and their journey to life. The first title in a new book series for kids called Tiny Thinkers – where real life scientists are depicted as kids – is about Charles Darwin. In Tiny Thinkers: Charlie and the Tortoise (Garland, TX: Secular Media Group, 2015, 40 pp. ), written by M.J. Mouton and illustrated by Jezreel S. Cuevas, a Beagle named Hitch (perhaps a reference to atheist Christoper Hitchens, given the name of the publisher) accompanies a young Darwin on his famous voyage around the world. They land in the Galapagos Islands, and Darwin of course loves all the plants and animals there are to study. The illustrations are cute and the text given in rhyming form. Charlie and the Tortoise unfortunately continues the notion that Darwin recognized a group of birds with varying beak sizes and shapes and eating habits as all different species of finches. He did not know they were all finches until an ornithologist in London examined specimens following the Beagle‘s return. Also, another group of birds were more instrumental in his thinking about variation and adaptation, the archipelago’s mockingbirds. Scientific myths remain hard to abandon. (See Frank Sulloway’s 1982 paper on Darwin’s finches and this essay from John van Wyhe.) As an historian of science, such details are important. I am not sure if this new book series has any history consultants. If not, they should. Not only should science books for kids get the science right, they should get the history right, too. I do give credit to the author, however, for not writing that Darwin had a Eureka moment about evolution on the Galapagos – that’s what usually follows his apparent observation of the different species of finches. My kids and I have enjoyed a new children’s book that combines adventure, the natural world, and poetry, with a little Darwin thrown in. 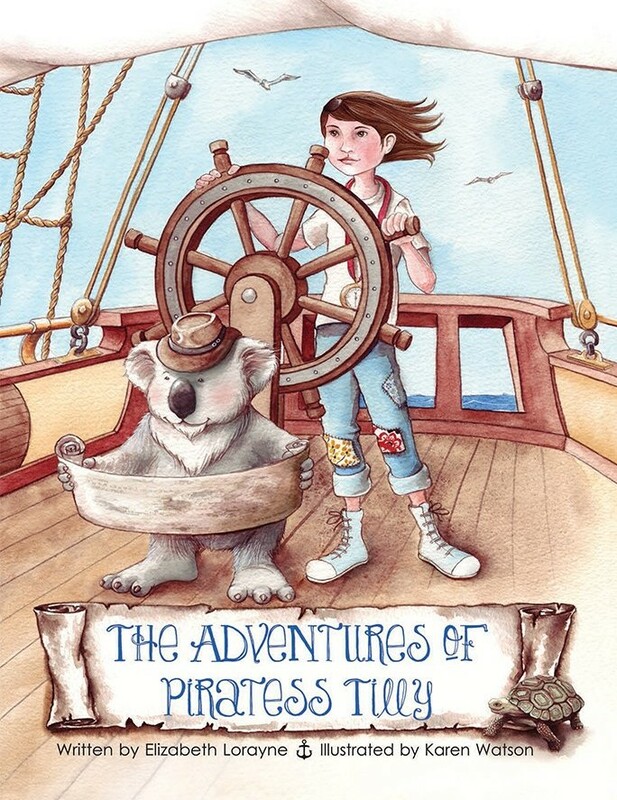 The Adventures of Piratess Tilly (Newburyport, MA: White Wave Press, 2014, 32 pp), by Elizabeth Lorayne with beautiful watercolor illustrations by Karen Watson, follows Tilly aboard the ship Foster, with her crew of sailors and a rescued koala named Yuki, on adventures across the globe. Tilly patches her own clothes, reads books for inspiration, and examines and sketches natural history specimens. Yuki navigates while the crew handles the ship. In these pages, their destination is the Galapagos Islands, but they come across pirates kidnapping baby tortoises and must intervene! The text of the story is given as descriptive and action-filled haiku, one per page, and feels to me like what a group of children playing might conjure up with their imaginations. It’s fun, visually appealing, and charming. And, much to the book’s benefit, Darwin is given a nod in two of the haiku – “Staterooms full of books / Darwin and Potter inspire / Lofty dreams unfold” & “Many days passing / Best used for examining / What would Darwin think?” – and a portrait on the cabin wall. Darwin would think, how cool to have a female-led adventure! Will Tilly’s adventures continue? I hope so. Check out the book’s website for lots of info, and an active Facebook page. This would be no surprise to anyone: I hope to visit the Galapagos someday. It won’t happen in the near future, so for now I’ll settle for reading books about the famous islands, and get jealous of my uncle-in-law who recently posted photos from his travels in South America to his Facebook page, including the Galapagos. He did bring me back this t-shirt, however! I mentioned reading books about the Galapagos, and I recently finished a new one: The Galapagos: A Natural History by science journalist Henry Nicholls (who previously wrote Lonesome George: The Life and Loves of a Conservation Icon). It’s not a very long book – the reading pages (minus acknowledgments and an appendix) come in at just 144 pages – yet Nicholls packs a wealth of information very succinctly in ten chapters that can each be read in short bursts (perfect for a father of young children like me!). So, what does a slim book like The Galapagos: A Natural History give the reader? The answer: a delightful overview of interesting natural history topics that serve as a general introduction of the islands. This is not a field guide, however, and Nicholls does not discuss every species of plant or animal to be found on “The Encantadas” but rather describes what visitors are likely to see or be interested in knowing more about. Also, he peppers these descriptions with history, culture, politics, and economics of the islands to flesh out the context of their natural offerings. He describes scientific observations of the past – much more than Darwin’s five weeks – and present, and the work of the many organizations on the islands which seek to protect and conserve its natural history. Nicholls begins with two chapters looking at geographical aspects of the islands: their geologic origin and their place in the Pacific Ocean, both of which have much to do with the insular flora and fauna to be found there. He then moves on to oceanic bird species before tackling plants, invertebrates, and land birds (where we learn about the island’s famous finches and perhaps more important mockingbirds). Iguanas of various types and the well-known Galapagos tortoises are discussed in a chapter about reptiles. The final three chapters are devoted to humans – the discovery and history of exploration of the islands; conservation work being done there (to counter the environmental destruction laid upon the native plants and animals); the tourism industry; local culture and politics; and more. 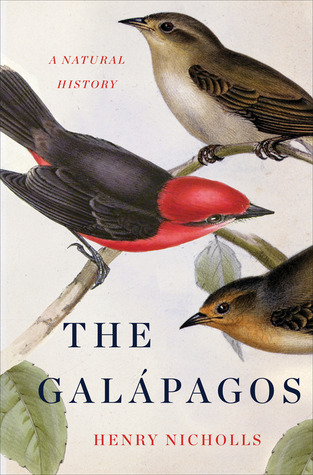 The Galapagos: A Natural History is an enjoyable read. For someone with more than a passing interest in the islands, by picking this book up and rereading a chapter here and there, Nicholls will allow me to daydream of visiting the Galapagos. My friend John Riutta also posted about this book on his website The Well-Read Naturalist.